On the morning of September, 6 2010 I read in the YAHOU Minor Planet Mailing List MPML a live talk about the actual NEOs. After testing the position of one of them, I could easily take some images of the object 2010 RF12 from my site. 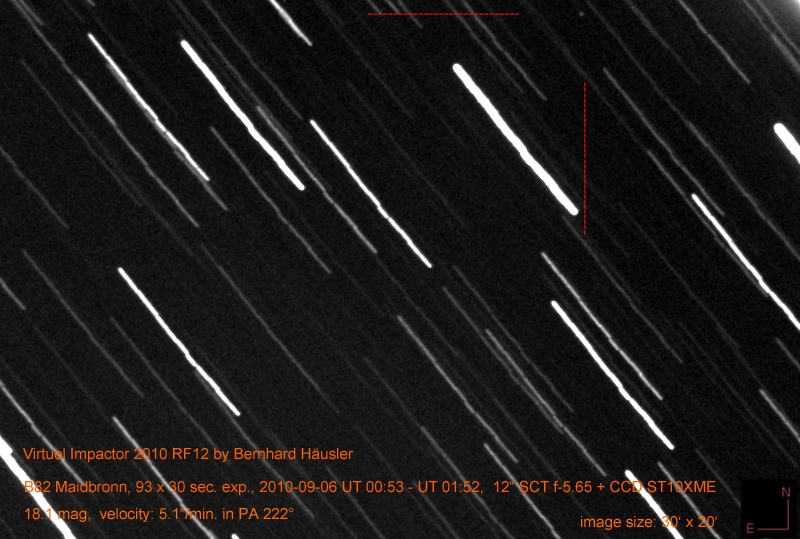 The asteroid is passing the Earth at September, 8 21:12UT in around 79.000 km distance. No impact will occur. The body size is 6-14 meters in diameter. Here you find a Calculator for possible crater sizes and energy sums. 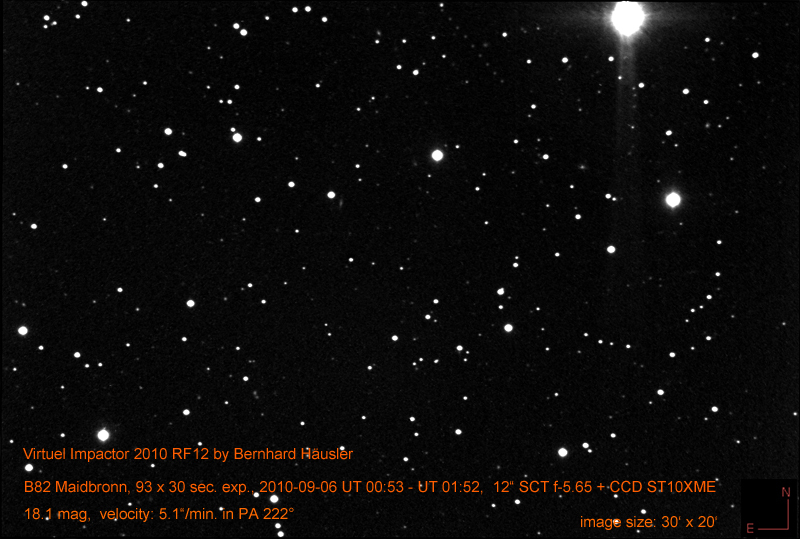 This is the position of the asteroid at September, 6.0, two days before its closest approach to Earth. Orbit of 2010 RF12 relatively to the Earth's orbit plane.